Hard wearing Polypropylene carry cases in A4, A3 and A2 sizes with a variety of capacities and closures. Special sizes made to order at low tooling costs. Can be litho printed full colour or screen printed as required. 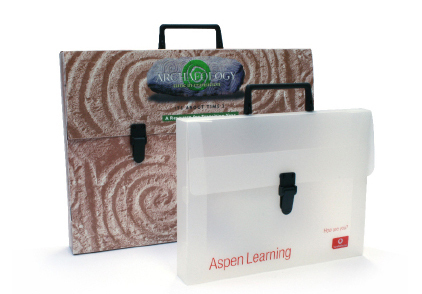 Self adhesive CD or business card pockets can be added to any product.